A contemporary chandelier with a retro feel. 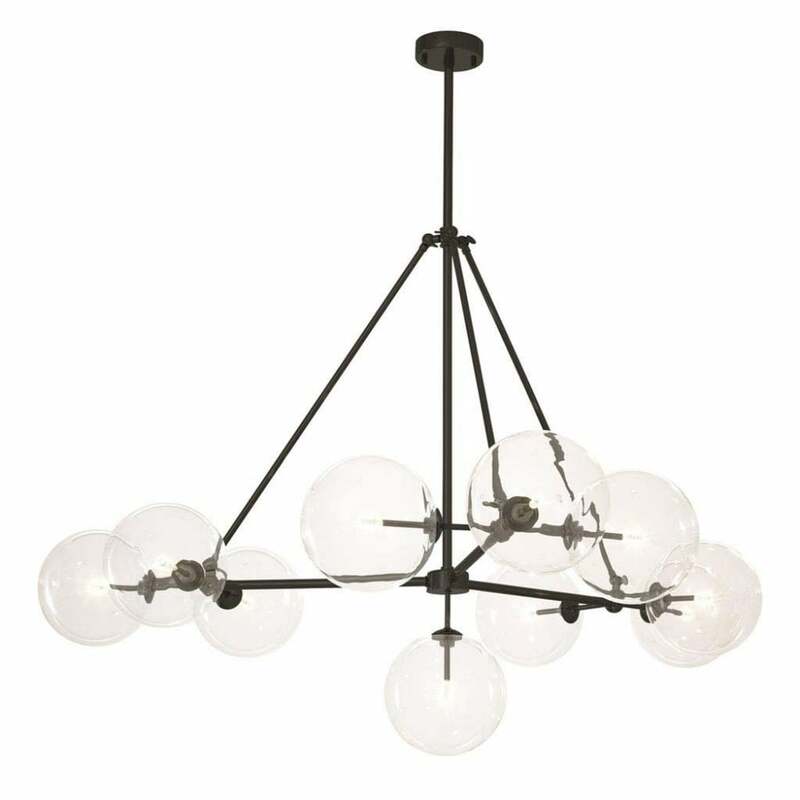 The Bermude Chandelier by Eichholtz features an industrial style design crafted with either a bronze or nickel finish. The sculptural frame holds 10 clear glass lamp holders that disperse in different directions to light up every corner of your home. The glass spheres soften the overall look and create a warming glow. Create a statement in an entrance hall or position above a dining table to create a modern lighting display. The Bermude Chandelier will bring vintage cool to any interior whether it is within a chic city apartment or a period townhouse.